Sophomore, Junior, Senior and Graduate students have 15 residence halls to choose from to create their best living environment. These choices include Suite Style Housing for sophomores, juniors, seniors and graduate students residing in singles, doubles and triple room configurations. While juniors, seniors and graduate students who wish to reside in our Townhouse Apartment Style housing select between double and triple room configurations. Sophomores are not eligible to reside within townhouses. 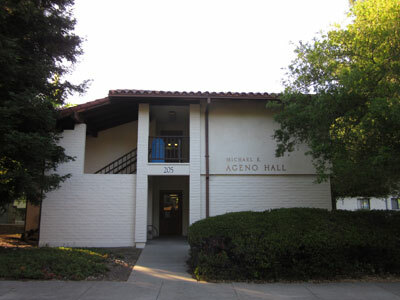 Michael E. Ageno Hall, commonly known as Ageno A, is located in the canyon. The hall is named in memory of Michael E. Ageno, a member of the class of 1963 and son of college patron, Edward S. Ageno. The second-year residence hall is suite style in design, accommodating six students per suite. Each half-suite has a double room and a single room with a shared vanity, sink, small refrigerator, and microwave. Please be aware that small refrigerators and microwaves are not provided, however you might get lucky if the students previous to you left their small refrigerators or microwave! The suites are connected by a toilet and shower and each room contains one built-in dresser and a lockable closet. Each room has independent heating controls. Marjorie David Ageno Hall, commonly known as Ageno B, is named in memory of Marjorie David Ageno, wife of college patron Edward S. Ageno. The second-year residence hall is suite style in design, accommodating six students per suite. Each half-suite has a double room and a single room with a shared vanity, sink, small refrigerator, and microwave. Please be aware that small refrigerators and microwaves are not provided, however you might get lucky if the students previous to you left their small refrigerators or microwave! The suites are connected by a toilet and shower and each room contains one built-in dresser and a lockable closet. Each room has independent heating controls. 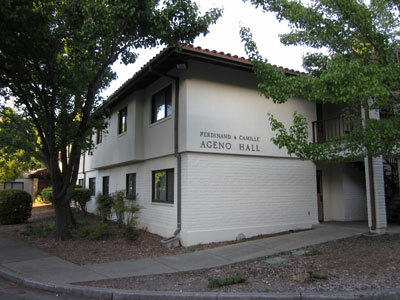 Ferdinand & Camille Ageno Hall, commonly known as Ageno C, was named after Edward S. Ageno's parents. The second-year residence hall is suite style in design, accommodating six students per suite. Each half-suite has a double room and a single room with a shared vanity, sink, small refrigerator, and microwave. Please be aware that small refrigerators and microwaves are not provided, however you might get lucky if the students previous to you left their small refrigerators or microwave! The suites are connected by a toilet and shower and each room contains one built-in dresser and a lockable closet. Each room has independent heating controls. The second-year residence hall is suite style in design, accommodating six students per suite. Each half-suite has a double room and a single room with a shared vanity, sink, small refrigerator, and microwave.Please be aware that small refrigerators and microwaves are not provided, however you might get lucky if the students previous to you left their small refrigerators or microwave! The suites are connected by a toilet and shower and each room contains one built-in dresser and a lockable closet. Each room has independent heating controls. 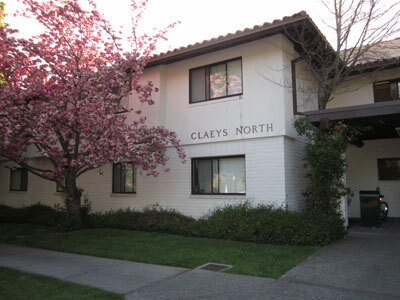 Claeys North has its own basketball court and backyard, with a barbeque. The second-year residence hall is suite style in design, accommodating six students per suite. Each half-suite has a double room and a single room with a shared vanity, sink, small refrigerator, and microwave. Please be aware that small refrigerators and microwaves are not provided, however you might get lucky if the students previous to you left their small refrigerators or microwave! The suites are connected by a toilet and shower and each room contains one built-in dresser and a lockable closet. Each room has independent heating controls. The Legacy Garden is located just outside Claeys South. Becket Hall is on the hill above Justin Hall, and currently houses second-year students and the Lasallian Living Learning Community. Each suite is comprised of three double bedrooms, one bathroom, and a common living space. Each bedroom contains one large built-in dresser for two users and two lockable closets. Please be aware that small refrigerators and microwaves are not provided, however you might get lucky if the students previous to you left their small refrigerators or microwave! DTA boxes are provided in the bedrooms only. Each suite has one central heating control. Becket shares a laundry room with More Hall. At the time of its construction, Becket Hall was the College's first residence to feature apartment-style living. More Hall was built in 1967 on the hill above Justin Hall, overlooking the central campus, and currently houses second-year students. More features suites comprised of three double bedrooms, one bathroom, and a common living space. Each bedroom contains one large built-in dresser for two users and two lockable closets. Please be aware that small refrigerators and microwaves are not provided, however you might get lucky if the students previous to you left their small refrigerators or microwave! DTA boxes are provided in the bedrooms only. Each suite has one central heating control. The hall shares its laundry room with Becket Hall. The two upper townhouses, located at the top of the hill, each have their own beautiful courtyard area, lounge and laundry room. Edward S. Ageno Hall East, better known by its short name Ageno East, is found at the top of the hill with a breathtaking view of the campus. Each suite in this hall for juniors and seniors accomodates five to six students in double rooms and triple rooms. Apartments are equipped with a full bathroom, living room/common area, and basic furniture. A full sized fridge is provided but microwaves are not. The hall has its own courtyard space, suitable for barbeques and other gatherings. Ageno West is also home to the Santiago Living Learning Community. 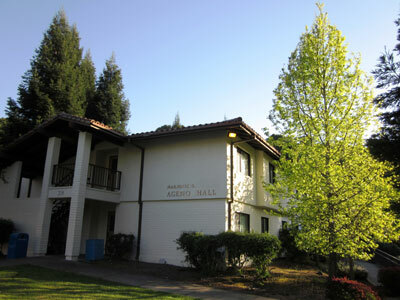 Edward S. Ageno Hall West, better known by Ageno West, houses juniors and seniors in townhouses not far from the cross on the hill. 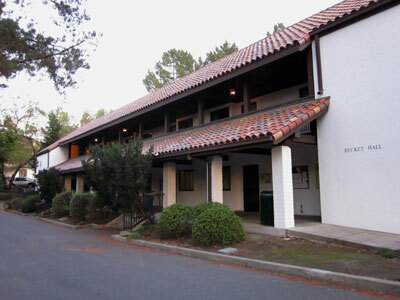 This upperclassmen hall accomodates five to six students in double rooms and triple rooms. Apartments are equipped with a full bathroom, living room/common area, and basic furniture. A full sized fridge is provided but microwaves are not. The hall has its own courtyard space, suitable for barbeques and other gatherings. Six lower townhouses, located near the Joseph Alioto Recreation Center, each have access to a beautiful courtyard area, barbeque area, and laundry room. 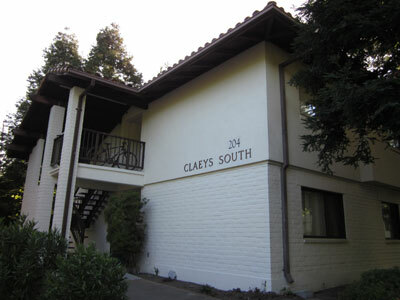 Freitas Hall was built in 1973, and is named for Edward W. Freitas, the brother of townhouses benefactor Judge Carlos Freitas '27. Apartments are equipped with a full bathroom, living room/common area, and basic furniture. A full sized fridge is provided but microwaves are not. Guerrieri East is one of the two halls built in 1981, partly through the generosity of the estate of Lewis Guerrieri. The hall shares a basketball court and barbeque pits with Guerrieri West. Apartments are equipped with a full bathroom, living room/common area, and basic furniture. A full sized fridge is provided but microwaves are not. 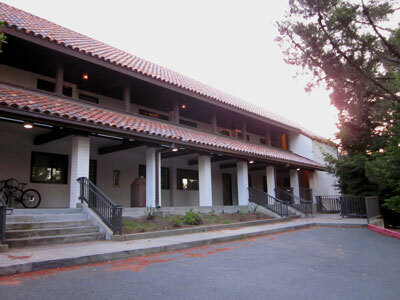 Guerrieri West is one of the two halls built in 1981, partly through the generosity of the estate of Lewis Guerrieri. The hall shares a basketball court and barbeque pits with Guerrieri East. Apartments are equipped with a full bathroom, living room/common area, and basic furniture. A full sized fridge is provided but microwaves are not. The Sabatte townhouse was built through the generosity of Fran Sabatte '36 and Raymond Sabatte '45, who named the building for their parents. Apartments are equipped with a full bathroom, living room/common area, and basic furniture. A full sized fridge is provided but microwaves are not. Raymond Syufy '40, founder of Century Theaters and original benefactor of the townhouses, named Syufy Hall for Pauline Syufy, his mother. Apartments are equipped with a full bathroom, living room/common area, and basic furniture. A full sized fridge is provided but microwaves are not. Thille Hall was named for Albert J. Thille, brother of Mary Thille. Mary was one of the four original benefactors of the Saint Mary's townhouses and the benefactress of the reconstrcted De La Salle quad. Apartments are equipped with a full bathroom, living room/common area, and basic furniture. A full sized fridge is provided but microwaves are not.